Younus Mohammad, a New York native and Muslim convert, is co-founder of a website that promotes pro-al Qaeda views. In February, Zachary Adam Chesser, 21, who admitted posting online threats, was sentenced to 25 years in prison. Chesser, a Muslim convert, encouraged violent jihadists to attack "South Park" writers for a 2010 episode that depicted the Prophet Mohammed in a bear suit, court documents said. Chesser posted online messages that included the writers' home addresses and urged readers to "pay them a visit," the documents said. Saying it was "not a threat," the website also predicted the men would be killed. In an affidavit accompanying the recent complaint against Morton, FBI Special Agent Paula R. Menges said Morton, co-founder of a group called Revolution Muslim, worked with Chesser on a "clarification statement" after Chesser's postings. The pair made website postings that were -- despite their claims -- threats, Menges said. "The case is a perfect example of the reality that touted principles like 'freedom of speech and freedom of expression' do not apply to people that seek to expose the reality of the U.S. Empire," he wrote in an e-mail to CNN. "A simple read of the allegedly threatening document shows repeated emphasis that the document was not meant to incite violence but dialogue. The case is an example of intimidation, forcing silence, while the U.S. goes on killing millions of Muslims and defaming the sacred tenets and people of the true religion." 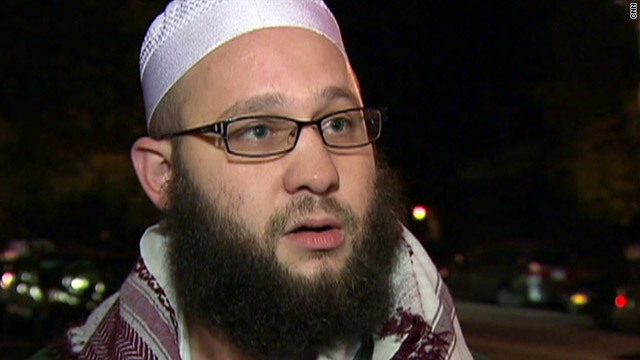 Morton and Yousef al-Khattab co-founded Revolution Muslim in 2008. In October 2009, they spoke to CNN. In the interview with CNN's Drew Griffin, Morton, a convert to Islam and one-time follower of the Grateful Dead, defended the September 11, 2001, terrorist attacks and argued that further attacks on Americans were justified. He also told CNN he did not encourage violence on U.S. soil. "We're commanded to terrorize the disbelievers," Morton told CNN. "The Quran says very clearly in the Arabic language ... this means 'terrorize them.' It's a command from Allah." He added, "Americans will always be a target -- and a legitimate target -- until America changes its nature in the international arena." Of bin Laden, Morton said, "I love him more than I love myself." Revolutionmuslim.com was the subject of a CNN investigation for its radical rhetoric supporting "jihad" against the West and praising bin Laden. Its organizers insisted they acted within the law and seek to protect Islam. "We have to warn Matt and Trey that what they are doing is stupid," the posting on Revolutionmuslim.com said, "and they will probably wind up like Theo Van Gogh for airing this show. This is not a threat, but a warning of the reality of what will likely happen to them." In December, Revolutionmuslim.com co-founder al-Khattab told CNN the defunct website became a "bug light for Muslim misfits." He said he regretted that his message was taken by some as a justification to attack civilians.